We all know the feeling of getting physically exhausted, but what is often overlooked is mental fatigue. The build-up of stress and over-thinking from work, study, and personal life can take its toll on your mental energy. 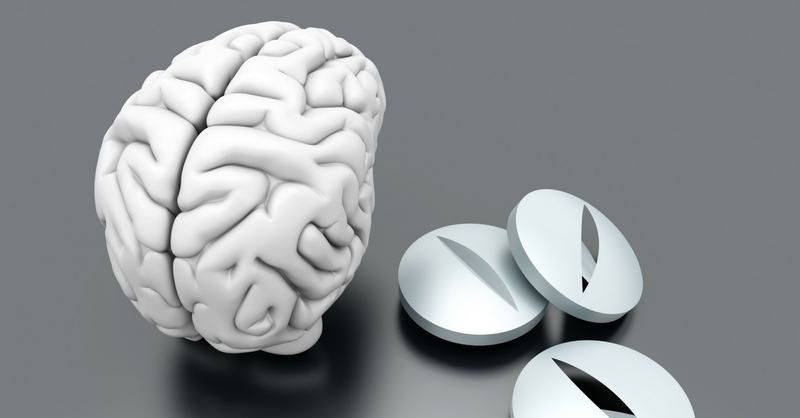 What many people don’t know about, is an increasingly popular class of supplements that can boost brain energy and health – they’re called “nootropics”. We’ve searched far and wide across the Australasian market to find the very best nootropic supplements available to you, but first let’s take a look at the basics. Nootropics are best described as “brain boosters”. They encompass a huge variety of different compounds, including simple things like vitamins and minerals, as well as herbal extracts and even some synthetic substances. Most specifically, they’re supplements which improve things like brain power, focus, memory, and reaction time. Each individual ingredient usually only impacts a single factor of brain function, but combinations of multiple ingredients can result in powerful synergistic effects. Since they’re still a relatively new and growing niche, nootropics are quite overlooked by regulators in Australia and New Zealand. This has resulted in many ingredients being easily available, but not officially classed as nootropic compounds. There are a whole range of nootropic ingredients and combinations available, which can be tricky to choose from. Making sure your supplement meets these requirements will ensure that you maximise the benefits, and eliminate any potential side effects. Nature itself provides us with some of the best nootropic ingredients, both in terms of safety and efficacy. Some of these include theanine, tyrosine, gingko balboa, and bacopa monieri – all well-known amino acids and herbs with amazing benefits. A lot of these natural compounds are perfect for pairing with other ingredients for exceptional synergistic effects. Citicoline as an addition to enhance effects from a variety of other ingredients. 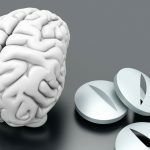 The majority of nootropics that are naturally-occurring can be bought without a prescription, and are typically found in health and nutrition stores. You can also import them simply and legally into Australasia and New Zealand, with a few small exceptions (1). We also have man-made nootropics – synthetic ingredients which are not naturally-occurring. One of the best-known groups of synthetic nootropics is the “racetam” family. 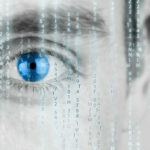 Racetams all have similar structure and effects, such as improvements in memory, creativity, and mood. Australia and New Zealand have regulations that prevent recetams from being readily available in general stores, but you can legally import up to three-month supplies for personal use. Piracetam is one exception to this rule, which can only be purchased with a prescription. Being on the weaker-end of the racetam spectrum however, this is somewhat odd. Stronger nootropics (often synthetic) tend to have more noticeable side-effects, so it’s a good idea to stay clear of these unless you require them for a medical condition. Medications such as Ritalin and Modafinil are designed to treat more serious conditions, and can result in some more significant side effects and/or addiction with long-term use (2). These drugs have a reputation for being used improperly, by people ranging from stressed mothers, to students, and even CEO’s. One worrying Australian study uncovered that a whopping 8% of students have reported using prescription “smart-drugs” to improve their concentration or mood while studying (3). Make sure you steer clear from these strong types of nootropics unless it is under the recommendation of a doctor. Now that you know what to look for in a safe and effective nootropic supplement, here are our top nootropic recommendations for 2018. 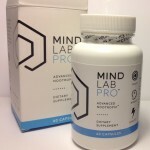 Mind Lab Pro is our top pick for nootropic supplements available in Australasia. It combines safety, effectiveness, and quality for an all-round perfect nootropic product. Each of its 11 nootropics are disclosed in its open-label formula, hiding absolutely nothing in proprietary blends – a remarkable sign of confidence and pride in their product. All ingredients are included in clinically effective doses, guaranteeing an adequate delivery of all active compounds. What’s more, they have just revamped the formula for 2018 and made some ground-breaking additions. Phosphatidylserine: Also boosts neuron formation. Phosphatidylserine: Combats stress in addition to its memory-boosting properties above. N-Acetyl-L-Tyrosine: Improves attention span by increasing neurotransmitter production. A well thought-out formula which uses a large, synergistic selection of nootropic ingredients. Mind Lab Pro use excellent, clinically-effective doses for their ingredients – but they don’t stop there. Wherever possible, they’ve made sure to include the premium forms of each ingredient, improving absorption and effectiveness. Examples of this include n-acetyl-l-tyrosine, a superior form of tyrosine for brain health, a super-potent form of bacopa monnieri, and Cognizin, a special patented form of citicoline. It’s an all-purpose nootropic which covers all bases for any day-to-day issues. 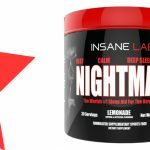 This formula is a do-it-all nootropic supplement. It covers all bases for any common issues. 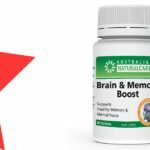 All-round improvement for brain health and function. Mind Lab Pro can improve focus and memory, reduce stress and fatigue, and boost overall brain health. No matter your specific need, it most likely has something in it for you! You can grab it from their official site www.mindlabpro.com, with international shipping. A very well-known supplement, Alpha Brain takes second place. Alpha Brain has an ingredient profile which is very similar to that of Mind Lab Pro. A great plus is that it has been the subject of two clinical studies, further supporting its results. Not using the superior forms of ingredients. Where Mind Lab Pro went the extra mile to improve their potency, Alpha Brain doesn’t quite have the same level of quality. They also have ingredient doses hidden in proprietary blends, which is often a bad sign. One ingredient of interest in Alpha Brain is a herb called Cat’s Claw, AKA “AC-11”. This form of the herb has been claimed to promote recovery from cell damage, and it already known to be an immunity promoter. A great ingredient profile, and official clinical trials to support its effectiveness. Just like Mind Lab Pro, it’s a great all-rounder which should work nicely across the board for all areas of cognition. A very wide range of retailers sell Alpha Brain, along with worldwide shipping.